Robberies in the Turks & Caicos Islands have tumbled by a whopping 61 percent, which the Royal Turks and Caicos Islands Police Force said it owes to greater visibility by its members on the streets and hot at spot areas. The drop in robberies played a pivotal role in the overall reduction of crimes in the TCI by 10 percent in 2012, when compared with the same period of 2011. Between the period January 1 to December 31, 2012, 45 robberies were reportedly committed in all of the country, which is 70 less than that of 2011, when 115 of that crime was reported to have been committed. A total of 146 robberies were committed in 2010. There was a 21 percent drop in robberies in 2011, in comparison to 2010, when 146 were reportedly committed. Crimes against tourists for 2012, when compared with the calendar period of 2011, also plummeted. In 2011, 69 crimes were reported against tourists, while in 2012, the number dropped to 23. Crimes committed by tourists during 2012 held firm in comparison to the corresponding period of 2011, with one each. Providenciales continues to take the lion’s share in robberies and other crimes. According to the police, 42 of the 45 crimes reported in 2012, took place on Providenciales, while the country’s capital Grand Turk snared the remaining three. The police noted that despite a sharp decrease over 2111, guns, in 2012, continued to be the robbery weapon of choice for the criminals, with 19 in 2012. Five were reported to have been carried out by knives; one was committed with a broken bottle; while a piece of wood was used as the stick-up tool during one of the incidents. The police said that there were 63 fewer gun crimes in 2012. In 2011, of the 146 robberies reported in the TCI, Providenciales recorded 141 and Grand Turk 5. 125 of those robberies were used with guns; 22 were carried out with machetes; eight were with knives; three with sticks; one with crowbar; one with screwdriver; one with pepper spray and one with duct tape. Despite the achievements, the police said that burglaries continue to be a thorn in their side, as it has been the preferred crimes by the hoodlums. 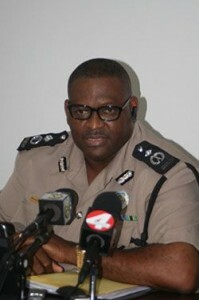 Of the 2,693 crimes committed in the TCI between January 1 and December 31, 2012, 804 were burglaries. In 2011, there were 2,857 crimes reported, 895 of which were burglaries. “As been reported over the years, most of the crimes reported in the Turks and Caicos Islands have been burglaries and also thefts. During 2010 there were a total of 829 burglaries reported. In 2011 there were 895 burglaries reported. We remain vigilant, and will stop at nothing to bring down these numbers with the right tools,” said Rodney Adams, Assistant Commissioner of Police in charge of Operation, during a news conference on Tuesday, February 19, at the Police Headquarters on Providenciales. The police said that of the two murders reported committed in 2010, one was detected, while the other was still being investigated. There were four murders reportedly committed in 2011 and one was detected. Meantime, the crime detection rate in the Turks & Caicos Islands is on par with world standard, this according to Assistant Commissioner of Police Rodney Adams. The crime detection or clear-up rate for the TCI for 2012 was 29 percent or 775 of the 2,693 offenses committed, police data shows. In 2011, of the 2857 crimes reported to the police, 516, or 18 percent were detected. For 2010, the detection rate for the 2,736 crimes reported was 705 or 26 percent. However, after SUNtv reported the statistics, a number of persons have stated that the country’s crime detection rate was too miniscule, and believed that the police could do a lot more. However, Adams, when contacted by told The SUN newspaper, to explain the nature of detection and what it means, said that the TCI rate was not appalling, judging from world standard. He was quick to point out that the men and women in the entity wished that lot more was achieved over the period as a result of their hard work. “Based on international standards, anything above 25 percent, the detection rate is considered very good. So, when one talks about a detection rate of 50/60 percent, that is unrealistic. In places like the United Kingdom, if they are doing above 25 percent detection rate, they are doing well. Some countries are doing 20 percent; some are doing under 20 percent,” he said. Assistant Commissioner Adams maintained that the police force normally records a detection rate of between 25 and 35 percent. He said however that, they were off the mark somewhat in 2011, when the rate dipped to 18 percent. “The year before – 2011 – we recorded a detection rate of 18 percent, and that is one of the first year that I can recall, that our detection rate was so low, and you would see that if you checked back our records over the years. But 29 percent is considered very well. Normally our detection rate would between 25 and 35 percent, but you are not going to find detection rate (much higher than that) unless you doctored the figures, and we are not going to do that around here,” Adams asserted. Checks made with the UK Home Office Statistical Bulletin board showed that the 2011/2012 detection rate stood at 27 percent. During the period 3,976,312 offenses were committed in England and Wales, and of that figure, 1,075,927 were detected. In the meantime, Superintendent Adams pointed out that had the men and women of the Royal Turks and Caicos Islands Police Force more equipped a lot more could have been done on the crime front. He expressed optimism, however, that greater assistance could be lurking on the horizon for local crime fighters. “I think most of you that would have been around over the years when I used to be Acting Superintendent of Police in charge of Operation, would recall that one of the things that I have always highlighted was that ‘give us the tools and we would get the job done’. “There are still a number of challenges as it relates to our equipment, and it does cause some hindrance in terms of us fully implementing a number of initiatives that we would wish to implement. However, the good news is that all indications are that there is work in progress, or as some would put it, ‘it’s in the pipeline’. So, we are hoping that the plumber would get there and get it out sooner rather than later,” Adams quipped.